Central Clinical School News Blog: Participants sought: Are you interested in brain science and what happens after a head injury? Participants sought: Are you interested in brain science and what happens after a head injury? 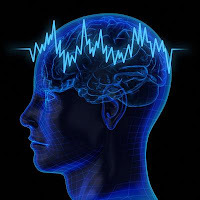 Traumatic brain injury Are you interested in brain science and what happens after a head injury? PhD student Hannah Coyle's project is investigating traumatic brain injury, and involves using a non-invasive type of brain stimulation to learn more about changes post concussion and during recovery. We need volunteers who have NO history of head injury to act as a comparison group. Participation will involve visiting our research centre in Prahran for three research sessions over a 6 month period. Sessions take approximately 3 hours each.You will be compensated for your time and travel costs. Together we will complete an interview, do some thinking tasks, take a recording of your brain waves and give you a short session of non-invasive brain stimulation. Thankyou for your comment. We moderate all messages and may take a little time to review your comment. Please email inquiries to ccs.intranet@monash.edu.